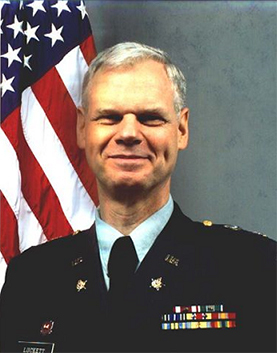 During his military career Mr. Luckett held many construction and facilities assignments. As Deputy Chief with the Defense Intelligence Agency's Underground Facilities Analysis Center, he was responsible for the analysis and characterization of underground and hardened facilities worldwide. COL Luckett commanded an Engineer Group and had command and control over units with a required strength of 2,100 soldiers. The group's mission was to provide command and control to multiple engineer battalions and separate companies. In inactive duty the group commanded an engineer battalion (heavy) and a fire-fighting platoon. As Division Engineer for the 100th Division, he was responsible for all engineering matters pertaining to the buildings and facilities owned or leased by the 100th Division. These represented 80 percent of all Army Reserve facilities in the Commonwealth of Kentucky. Mr. Luckett provided contract administration, quality control monitoring, major project review, and property acquisition during a four-year assignment to the Louisville District, Corps of Engineers. Projects included a hangar at Grissom Air Force Base. While assigned to the Louisville District, he was farmed out to the Army Reserve Personnel Command in St. Louis to design renovations to their complex. Mr. Luckett, when assigned to the Directorate of Public Works, Fort Hood, Texas, designed renovations and additions to several facilities on the base and reviewed designs for a $35 million troop clinic and a $29 million aircraft maintenance facility. Assigned to the 416th Engineer Command, Mr. Luckett headed the facilities engineering team responsible for reviewing and analyzing all existing Army Reserve facilities in Kentucky and southern Ohio and preparing documentation, cost estimates, and budgets for their renovations.